8 ¶ If thou know not (O thou fairest among women) goe thy way forth by the footsteps of the flocke, and feede thy kiddes beside the shepheards tents. 12 ¶ While the king sitteth at his table, my spikenard sendeth foorth the smell thereof. This book is a Divine allegory, which represents the love between Christ and his church of true believers, under figures taken from the relation and affection that subsist between a bridegroom and his espoused bride; an emblem often employed in Scripture, as describing the nearest, firmest, and most sure relation: see #Ps 45; Isa 54:5,6; 62:5; Jer 2:2; 3:1|; also in Ezekiel, Hosea, and by our Lord himself, #Mt 9:15; 25:1|: see also #Re 21:2,9; Eph 5:27|. There is no character in the church of Christ, and no situation in which the believer is placed, but what may be traced in this book, as humble inquirers will find, on comparing it with other Scriptures, by the assistance of God the Holy Spirit, in answer to their supplications. Much, however, of the language has been misunderstood by expositors and translators. The difference between the customs and manners of Europe, and those of the East, must especially be kept in view. The little acquaintance with eastern customs possessed by most of our early expositors and translators, has in many cases prevented a correct rendering. Also, the changes in our own language, during the last two or three centuries, affect the manner in which some expressions are viewed, and they must not be judged by modern notions. But the great outlines, rightly interpreted, fully accord with the affections and experience of the sincere Christian.The title. (1) The church confesses her deformity. (2-6) The church beseeches Christ to lead her to the resting-place of his people. (7,8) Christ's commendation of the church, Her esteem for Him. (9-17)1 This is "the Song of songs," excellent above any others, for it is wholly taken up with describing the excellences of Christ, and the love between him and his redeemed people. 2-6 The church, or rather the believer, speaks here in the character of the spouse of the King, the Messiah. The kisses of his mouth mean those assurances of pardon with which believers are favoured, filling them with peace and joy in believing, and causing them to abound in hope by the power of the Holy Ghost. Gracious souls take most pleasure in loving Christ, and being loved of him. Christ's love is more valuable and desirable than the best this world can give. The name of Christ is not now like ointment sealed up, but like ointment poured forth; which denotes the freeness and fulness of the setting forth of his grace by the gospel. Those whom he has redeemed and sanctified, are here the virgins that love Jesus Christ, and follow him whithersoever he goes, #Re 14:4|. They entreat him to draw them by the quickening influences of his Spirit. The more clearly we discern Christ's glory, the more sensible shall we be that we are unable to follow him suitably, and at the same time be more desirous of doing it. Observe the speedy answer given to this prayer. Those who wait at Wisdom's gate, shall be led into truth and comfort. And being brought into this chamber, our griefs will vanish. We have no joy but in Christ, and for this we are indebted to him. We will remember to give thanks for thy love; it shall make more lasting impressions upon us than any thing in this world. Nor is any love acceptable to Christ but love in sincerity, #Eph 6:24|. The daughters of Jerusalem may mean professors not yet established in the faith. The spouse was black as the tents of the wandering Arabs, but comely as the magnificent curtains in the palaces of Solomon. The believer is black, as being defiled and sinful by nature, but comely, as renewed by Divine grace to the holy image of God. He is still deformed with remains of sin, but comely as accepted in Christ. He is often base and contemptible in the esteem of men, but excellent in the sight of God. The blackness was owing to the hard usage that had been suffered. The children of the church, her mother, but not of God, her Father, were angry with her. They had made her suffer hardships, which caused her to neglect the care of her soul. Thus, under the emblem of a poor female, made the chosen partner of a prince, we are led to consider the circumstances in which the love of Christ is accustomed to find its objects. They were wretched slaves of sin, in toil, or in sorrow, weary and heavy laden, but how great the change when the love of Christ is manifested to their souls! 7,8 Observe the title given to Christ, O Thou whom my soul loveth. Those that do so, may come to him boldly, and may humbly plead with him. Is it with God's people a noon-time of outward troubles, inward conflicts? Christ has rest for them. Those whose souls love Jesus Christ, earnestly desire to share in the privileges of his flock. Turning aside from Christ is what gracious souls dread more than anything else. God is ready to answer prayer. Follow the track, ask for the good old way, observe the footsteps of the flock, look what has been the practice of godly people. Sit under the direction of good ministers; beside the tents of the under shepherds. Bring thy charge with thee, they shall all be welcome. It will be the earnest desire and prayer of the Christian, that God would so direct him in his worldly business, and so order his situation and employment, that he may have his Lord and Saviour always before him. 9-17 The Bridegroom gives high praises of his spouse. In the sight of Christ believers are the excellent of the earth, fitted to be instruments for promoting his glory. The spiritual gifts and graces which Christ bestows on every true believer, are described by the ornaments then in use, ver. #10,11|. The graces of the saints are many, but there is dependence upon each other. He who is the Author, will be the Finisher of the good work. The grace received from Christ's fulness, springs forth into lively exercises of faith, affection, and gratitude. Yet Christ, not his gifts, is most precious to them. The word translated "camphire," signifies "atonement or propitiation." Christ is dear to all believers, because he is the propitiation for their sins. No pretender must have his place in the soul. They resolved to lodge him in their hearts all the night; during the continuance of the troubles of life. Christ takes delight in the good work which his grace has wrought on the souls of believers. This should engage all who are made holy, to be very thankful for that grace which has made those fair, who by nature were deformed. The spouse (the believer) has a humble, modest eye, discovering simplicity and godly sincerity; eyes enlightened and guided by the Holy Spirit, that blessed Dove. The church expresses her value for Christ. Thou art the great Original, but I am but a faint and imperfect copy. Many are fair to look at, yet their temper renders them unpleasant: but Christ is fair, yet pleasant. The believer, ver. #16|, speaks with praise of those holy ordinances in which true believers have fellowship with Christ. Whether the believer is in the courts of the Lord, or in retirement; whether following his daily labours, or confined on the bed of sickness, or even in a dungeon, a sense of the Divine presence will turn the place into a paradise. Thus the soul, daily having fellowship with the Father, the Son, and the Holy Spirit, enjoys a lively hope of an incorruptible, undefiled, and unfading inheritance above. No swarthy was out dates so dark was used. Someone else thought they knew more from only academics and said black. Where I'm of English and German decent, "maybe" some indian, maybe. But my dad took a picture with a black man and they looked about the same color. Where when he stays out in the sun, he's get swarthy. I have a Sicilian aunt, she's very dark complected relative to my pale face. The 2 lovers in Song of Solomon are Christ and the Church,THEY REFER TO EACH OTHER AS HAVING DOVES EYES. DOVES ARE SYMBOLIC OF LOVERS,HUSBAND LOVES YOUR WIVES AS CHRIST LOVE THE CHURCH AND GAVE HIS LIFE FOR IT. REMEMBER THE PRIEST HAD TO WASH 2 DOVES BY RUNNING WATER ( THE JORDAN ) BUT 1 HAD TO BE KILLED AND HIS BLOOD SPRINKLED ON THE LIVING BIRD WHICH IS THE CHURCH.THAT DOVE DESCENDED ON CHRIST. 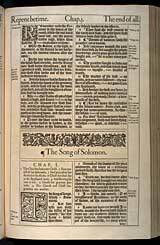 Thanks for the above commentary by Matthew Henry which helps to understand the book of Solomon.